Semi-evergreen, height to 30cm. Hardy in mild areas, though protection advised in cold winters). A lovely small species with colourful new growth. 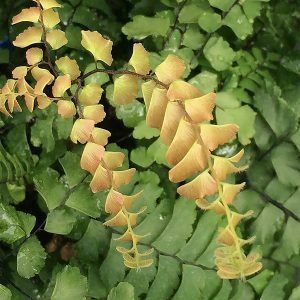 Likes a sheltered, shady moist spot and will spread slowly with underground rhizomes. Soil should be kept moist and required a high organic content. A foliar feed through the growing season will encourage good growth.